Whenever we hear about the word ‘dementia,’ it is easy enough to conclude what it is and what can happen to a person who is suffering from it. 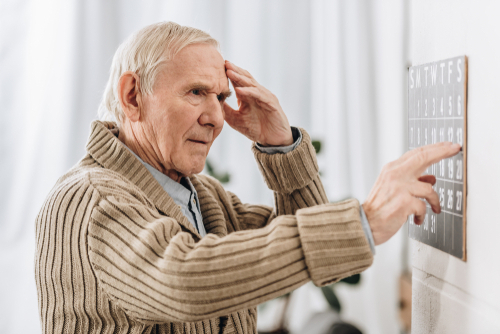 But people rarely know what actually dementia is and hence we have put together this guide so that you can understand what this disease of forgetfulness is, how you should be aware of the symptoms, when you should seek professional help and how you can avoid it. Scroll down to know more on this. Experts reveal that the best way of understanding the nuances of this degenerative disease is by focusing on the fundamental symptoms of dementia. The word ‘dementia’ is an umbrella term which includes several things like difficulty in thinking, memory loss, speech and language issues or difficulty in solving problems. The initial changes are small but when someone develops dementia, this can get severe enough with time, to an extent that may affect their regular lives. He might also experience unusual changes in behavior and mood. In Australia, there are 650,000 people who are suffering from dementia and this calls for understanding of this disease without which it is tough to prevent it. Let’s make a detailed analysis of the early signs of the onset of dementia. One of the earliest symptoms of dementia is trouble in remembering things. There will be subtle changes which can include short-term memory loss. As people age, they might remember events which occurred years ago but they may fail to remember what they had for their breakfast. Few other changes include forgetting where they placed an item, not remembering when they entered a specific room or forgetting what they were assigned to do on a particular day. With dementia, mood disorders are also common. When you suffer from dementia, you might not initially identify having the disease but you can certainly notice this change when it occurs in someone else. During stages of early dementia, depression can be common. Besides mood disorders, you can also find a strong shift in personality. A person who was outgoing and confident can suddenly become shy and introvert. This happens because this disease impairs your judgmental ability. Another early symptom of dementia is to struggle while communicating with people. Someone with dementia can find it difficult in to choose the right words while speaking or may not be able to explain something in the way he wants. It is difficult to converse with a person who has dementia as the dementia carers will not be able to understand what he is about to say and what he means. There will also be a subtle shift in the capability of the person to complete his regular tasks and this can indicate the onset of dementia. If the person has to balance his checkbooks or play indoor games, you will find him struggling hard to maintain his checkbook and remember the rules of the game. Besides this struggle, they will also find it tough to learn new things. Listlessness or apathy is something which is also common during the early stages of dementia. A person could lose interest in his favorite activities or hobbies. They may lose the wish of going out and having fun. If they loved spending time with their family members and friends, there will be a sudden shift in this behavior. They’ll tend to stay away from them. Staying confused is one of the early signs of dementia. When judgment, thinking and memory lapses, there might arise confusion because the person will no longer be able to use the right words while speaking, remembering faces and interacting with people. Though confusion may occur for several reasons, they can be applied on various situations. Few such examples can be forgetting where they kept their car keys and difficulty in remembering a person they’ve met before. The sense of spatial orientation and directions starts deteriorating whenever this disease begins to set on a person. The once-known landmarks will not be recognized anymore and they may even forget regular directions. The person can find it tough to follow a series of steps and directions. Memory Loss and dementia – When should you seek medical help? There are few degrees of memory issues like moderate decline in thinking skills, which are a common part of aging. However, you need to understand that there is a difference between memory loss and usual changes in memory. You can’t associate every memory loss problem with Alzheimer’s. In case you suffer from memory issues, speak to your doctor to receive appropriate care. If it is a normal age-related memory loss, this won’t ever prevent you from leading a productive life. You might forget the name of a person and later on recall it at another part of the day. You may require making a list of the tasks that you have to do throughout the day just because your forget them. These are subtle changes which are manageable and which don’t interfere with your ability to work. Although there are few changes which are subtle, yet they should never be ignored. Talking to a doctor is definitely one of the best steps that you can take to save that person from suffering from serious dementia. The doctor might refer you to a neurologist who will probably examine the mental health and decide whether or not the symptoms are that of dementia or some other cognitive issue. The doctor can order you to do a complete series of mental and memory tests, few blood tests, a neurological exam and few brain imaging tests. Dementia might be extremely common among people above the age of 65 but it can also occur among the younger generation. When people are at the age of 30, 40 or 50, this could lead to early onset of the disease. With early diagnosis and treatment, it is possible to slow down the progression of the disease and maintain proper mental health. Such treatments can include cognitive training, medication and therapy. Why do so many people develop this neurodegenerative disease called dementia while there are several others who live till they’re 90 having a mind which is as sharp as a 20 year old? Here are few factors which influence dementia. Old age: Dementia usually affects the older generation as the risk of occurring this disease boosts with age. The older you get, the higher are the chances of developing dementia. Nearly 1 in 4 people who are between the age of 85 and 89 develop dementia. Rarely, it even occurs among younger people. Genes: There are many who wonder whether dementia can be inherited. Most will answer in the negative. However, there are few common types of dementia which are caused by combination of environmental and genetic factors. In case there is dementia in your family history, you will have a higher risk of developing it as compared against people who don’t have dementia among the family members. Health conditions: Obesity, high blood pressure, diabetes and high cholesterol are risk factors which can provoke the occurence of dementia. There are several studies which reveal that people with any of the aforementioned conditions during their midlife will be twice more likely to develop dementia. While there’s nothing that you can do about your genes, you can definitely take care of your health. Lifestyle choices: What you drink and eat and whether or not you exercise your brain and body will all have an impact on the development of the disease. There are several things that you can do to change your lifestyle. Scroll down to know more on this. Olive oil is considered as a culinary staple since time immemorial and the reason behind this is more than just its tasty flavor. Keeping in mind the health factors, olive oil is useful while consumed in moderate levels and hence this offers several benefits which include risk of depression, heart disease, inflammation and depression. It has been proved in a study that consumption of olive oil can protect your memory, your learning skills and reduce formation of plaques in human brain. You must already be aware of how a well-balanced and nutritional diet can be vital for your weight and heart. The human brain needs lean proteins, healthy fats, minerals and vitamins to function in a proper way. There are several researches which show that people who consume a diet which is high in saturated fats like canola oil usually develop dementia in the later stage of life. So, you should limit the intake of red meat and instead go for fish and chicken. There are plethoras of reasons why you should reduce the amount of sugar that you should take in among which the newest one being that a diet that is high in sugar can trigger dementia. It was found out that Alzheimer’s disease is more likely to face issues with important enzymes like MIF which is a result of glycation. So, you should definitely reduce your sugar intake if you want to reduce the risk of developing Alzheimer’s. Untreated diabetes and hypertension are 2 of the biggest risk factors for dementia. If a person is already suffering from diabetes, he will have up to 75% more risk of incurring dementia and even higher a risk of developing vascular dementia. When you have hypertension during the middle age, this will also increase the risk of vascular dementia. Such diseases can be managed with diet, medicine and exercise but if you develop dementia, there is no cure to it. Hence, it is always recommended by doctors that you take care of your chronic health conditions on time. Cigarette smoke and cigarettes comprise of 4700 harmful chemicals which are called carcinogens and which are directly related to diseases like cancer. People who smoke heavily have a higher risk of developing dementia and a much higher risk of developing Alzheimer’s. The former smokers also have a lower risk of developing dementia and hence the sooner you can, you should quit smoking. If you hit the bottle too hard, this can boost your risk of health issues which include stroke, high blood pressure, liver issues, along with dementia. Drinking can make people’s brains atrophy can hence this can lead to early stage memory loss. There are several studies which show a strong relation between excessive alcohol usage and cognitive issues. You should drink in moderation, one drink a day or maximum two drinks a day. Dementia can have a debilitating impact on your life if you leave it untreated and unattended. Hence, whenever you identify the early signs of dementia, consult a doctor, start taking medicines and keep doing activities so as to ward off the later stages when you may need to take in Home Caring support services to maintain a normal and healthy life.